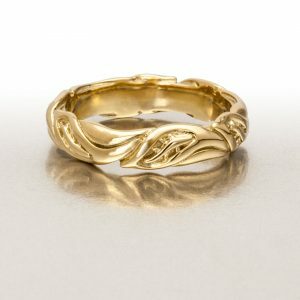 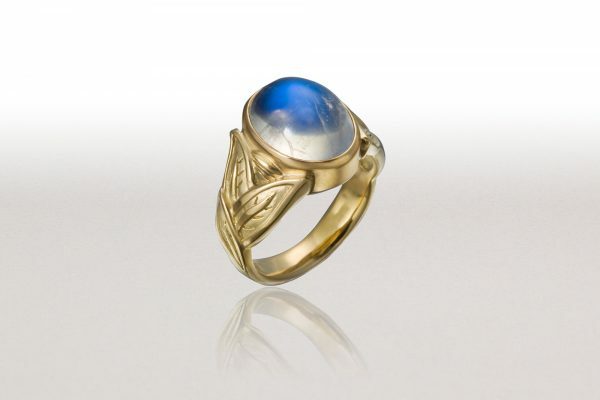 This 18k gold ring is bezel-set with Royal Blue Moonstone. 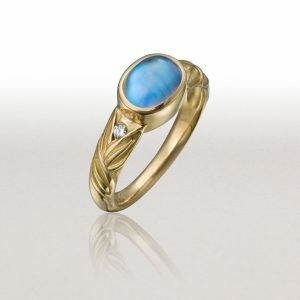 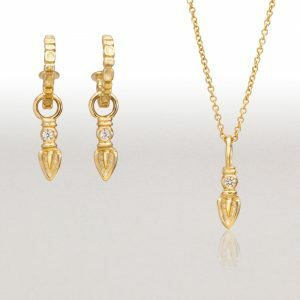 The price listed is approximate and will vary according to the size, weight and quality of the moonstone. Each Royal Blue Moonstone is unique. 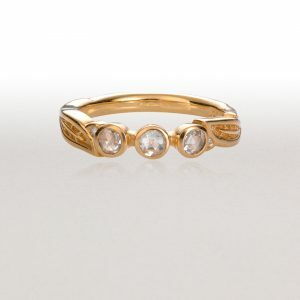 This ring looks great with round, oval and cushion-shaped stones.